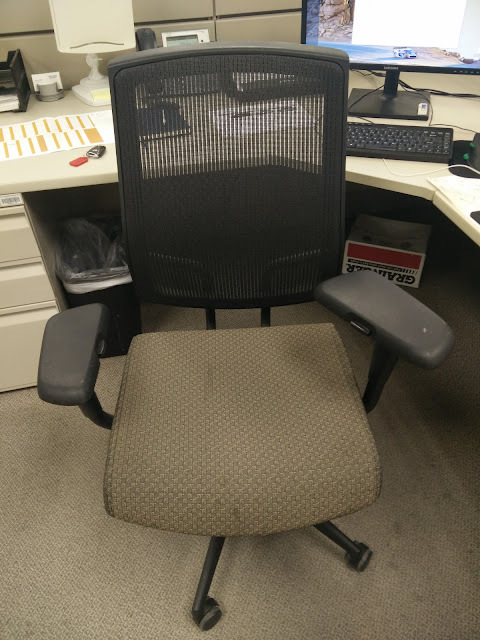 After working at Hyundai for six months, I finally came to the conclusion my office chair sucked. 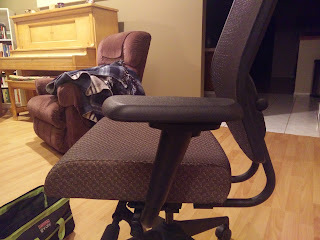 I requested a replacement that would work better for my abnormal height, but my two emails were ignored, so I decided to buy something for myself. The first one I tried was the Steelcase Think (seen above), which I found on Craigslist for $80 (~$800 new). This was an older model in decent shape, but it was a little dingy. I shampooed it and decided a couple days later it wasn't right for me, so now Chrissy uses it in our home office. 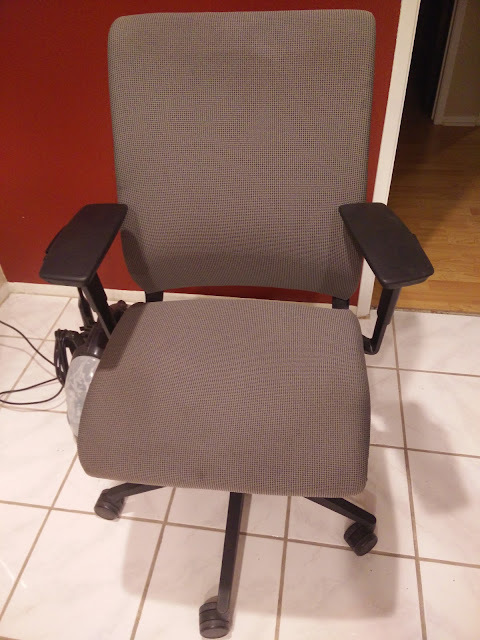 To find my next chair, I went to a used furniture warehouse and stumbled upon this bad boy made by, and I'm not making this up, SitOnIt Seating. Retail price for this chair was also ~$800 but I paid $40. 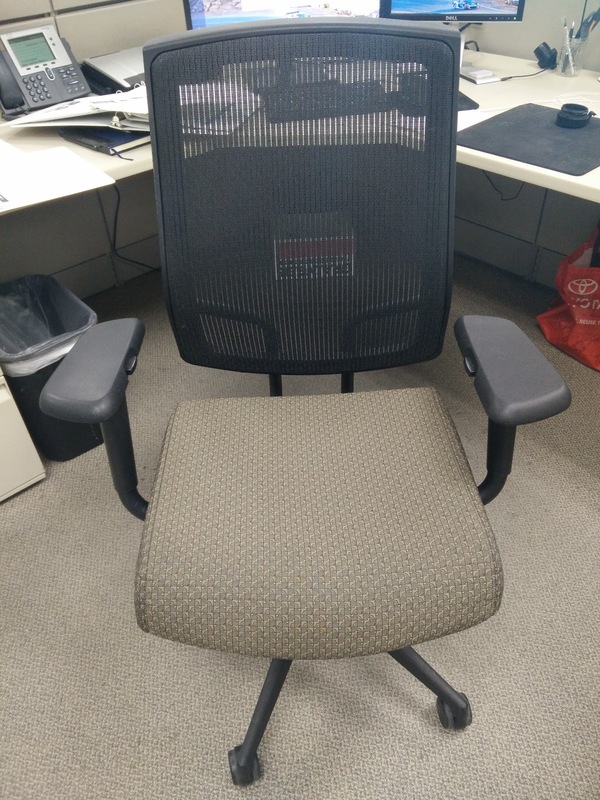 The depreciation on used office furniture is brutal. After shampooing, it looked like this. Shampooing wasn't the only thing I did. 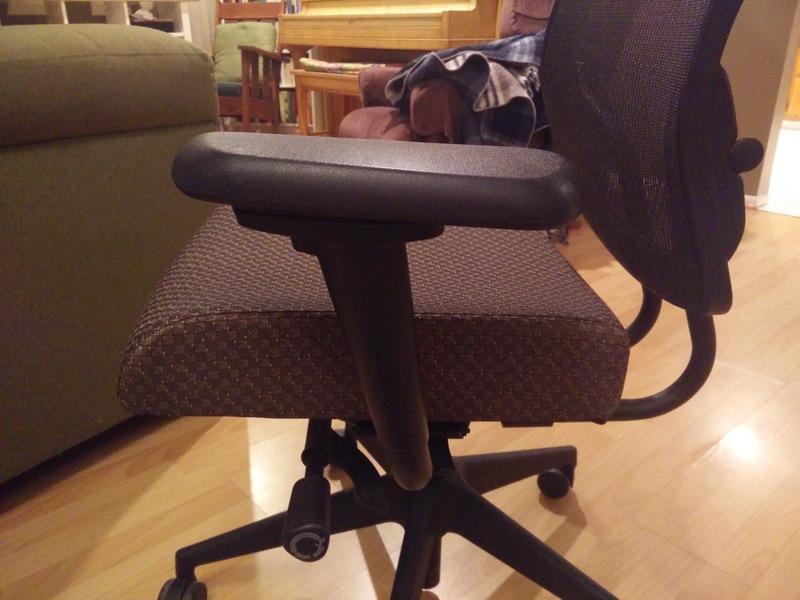 As it came, the armrests were too far forward and they hit my desk. I was prepared to do some major surgery to fix this, but I realized I could just switch sides so they would angle backward instead of forward. I also did some grinding on the plastic frame that holds the mesh back. The top of the frame was just hitting my shoulder blades, so I had to do something. You can see my setup below. I got to use all three outlets on the splitter I recently added to my retractable cord reel to power the Dremel, light, and Shop Vac simultaneously. I also placed a steel plate under wherever I was grinding to avoid cutting the mesh. 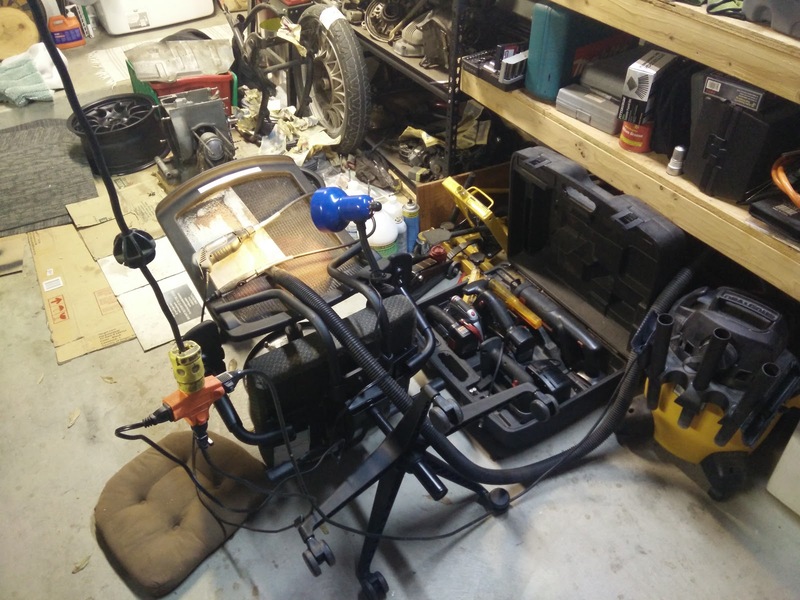 The end result is a chair that is now custom fit to me and is working great.